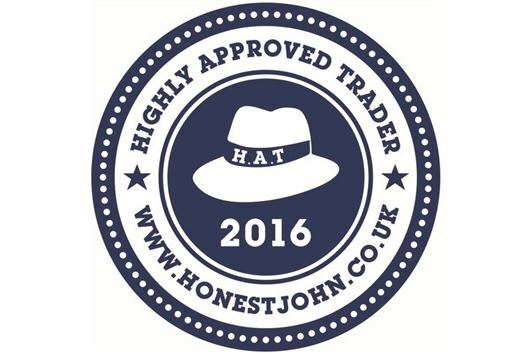 Each year HonestJohn.co.uk picks out the best companies in the motor trade. Honest John himself chooses the winners across nine categories, based on feedback from customers. HAT awardees represent reliable, high quality service and excellent value for money. BCA - an online and physical auction house that has been established for 60 years. Historics – specialists in motoring memorabilia, classic cars, historic cars and sports cars. Silverstone Auctions – auction house specialising in classic cars, modern supercars, competition cars, modern and historic motorcycles and motoring memorabilia. Drive the Deal – discount new car broker offering big discounts on new cars. Carwow – online car buying service that allows customers to compare the best deals from main dealers and buy direct. Ling’s Cars – new car leasing and contract hire website. DSG Auto Contracts – independent new car and can contract hire, leasing and finance broker established in 2003. Car Giant – London based car supermarket with more than 7000 cars in stock. Motorpoint – car supermarket with numerous locations across the UK, offering nearly new and low mileage cars. Confused – a car insurance comparison website. Liverpool Victoria (LV) – insurance company offering cover for cars, caravans, classics and motorcycles. ALA – specialists in GAP insurance, established in 1990. Warranty Direct – provider of direct warranties for new and used cars, including extended warranties. Event Tyres – mobile tyre fitters operating across the country. TyreMen – mail order and tyre fitting service established for almost 50 years. Empire Garages – North London garage offering a range of service and repair work. DNA Technical Services – London-based Bentley, Audi and Volkswagen Group garage.